For over a decade now a buddy and I have spent a week either in late June or early September fishing. We go to a place called Loon Lodge on Lake Temagami north of North Bay Ontario. Sometimes, my brother Whitey from Toronto tags along. It's a fun week. We use it to decompress, fish, eat and - heaven forbid - have a drink or two. Now we don't drink out on the water. It's against the law in Ontario. And we've been stopped several times just to make sure we're good boys. But we more than make up for it in the evenings, back on dry land. Hey, a guy gets thirsty out under the hot sun on the lake all day. Okay, half a day. Okay, okay for a couple of hours. Then we'll head back for a meal, a brewski or two and a nap before heading back out again. We've had our share of fish tales to share. Not just about the one that got away and, believe me, there have been plenty of those. There was the time, for example, the boat engine stopped dead and we couldn't get it going. We had to paddle to the nearest cottage. Borrow the fella's phone. Call the Lodge to see if the Lodge owner could come and tow us back. About an hour later the Lodge owner arrives in his boat. By this time it's pouring rain. We still can't get the engine started. The cottage owner leaned down and asked "Does this boat have a kill switch?" Now when the pilot hooks himself up to the switch and for any reason should fall out of the boat the switch switches and kills the engine. I saw a light go on over my buddy's head. He looked down, flipped the switch turned over the motor and guess what! It started right away. We're often very successful at fishing. My buddy uses real bait. I use plastic worms. Stupid fish love the plastic stuff. 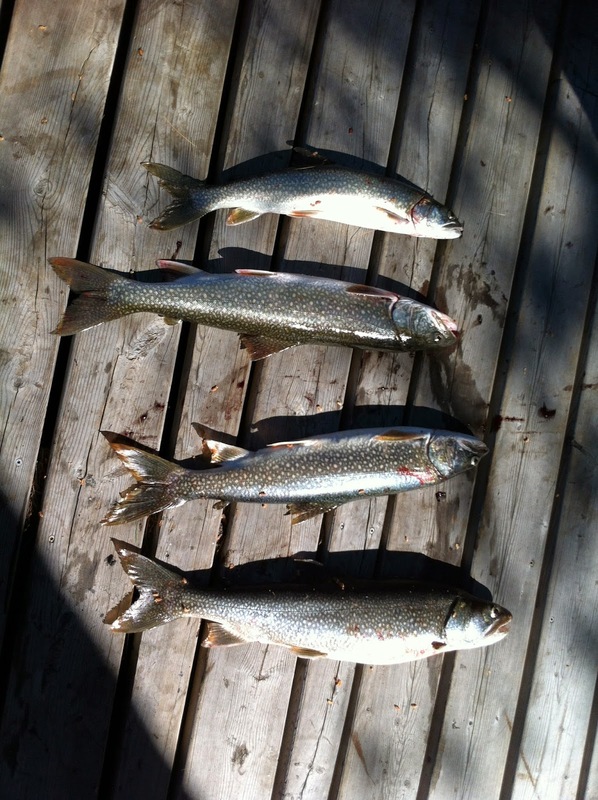 We catch bass, pike, pickerel and perch. But speaking of fish stories, after a few mid-day brewskis sooner or later one has to, um, empty one's bladder. Have you ever tried to pee out of a small boat? It can be quite a challenge, especially if the lake's a little rough. But neither of us have fallen in yet, despite the precarious perch necessary to relieve ourselves. Now that's the mark of a real fisherman! I love the humor of this piece, the distracted way of telling the story the narrator has. It's very interesting. Sometimes I surprise myself with my powers of survival. I think alcohol actually helps! And it's all true, I hate to admit. We've been towed to shore by a jet ski before. Talk about embarrassing! Good use of the writing prompt, btw. So I guess I'm not alone then. Good to know. Now that is a precarious perch LOL! Great story! SAM's comment tickled my fancy and had me laughing like a fool. I'm guessing he doesn't understand that you're the narrator and this is not a fish tale, rather just another day in the exciting life that you lead. Shhhh. I won't tell if you won't tell. Aw, thanks, Tessa. I was worried after having read everyone else's story. Everybody's so serious. This sounds a bit fishy to me. Hee Hee. I can say that I've never had to pee off the side of a boat but there have been times on boats with heads that I'm glad I have to sit to pee. I retold this story for the halibut. Thanks Thomas. That comment nets my appreciation. nice take on the prompt, it's the "sharing" that matters. Well, thanks, Kir. You know they have pills for that? Love your use of the prompt in this - came out of nowhere and worked really well. Leaving with a smile... THANKS! I like the narrative, here - like a breezy reminiscence. Very good Joe re: the perch of a marksman. Maybe that should have been the prompt! Thanks, Laura. Then my work here is done.